Birthday. A day that occurs every year but somehow you're never really prepared for it. This year was no exception. This year, I thought I started planning my BDP (birthday party) early enough. About one month prior to my birthday, I started looking for interesting venue places for my birthday party. Looking through the Facebook page of a magazine about Helsinki called We are Helsinki a new place caught my eye. 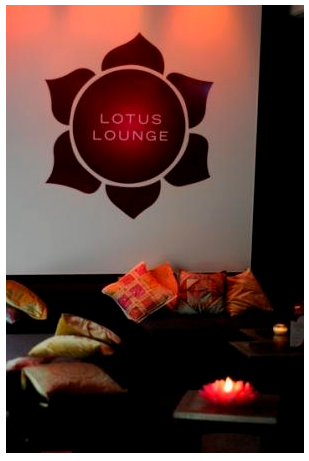 It was called Lotus Lounge and located right in the center of Helsinki, on Mikonkatu street. I immediately contacted the place and soon we (me and <3) were already on our way to check out the venue. The place seemed nice. It was located on the second floor of a restaurant, and the whole lounge had a oriental feel to it. There was lots of pillows and cushions as well as sofas and divans there. I heard that I could rent a cabinet for my party so I decided to do so. I also reserved some food (mint meatballs, wasabi and other spicy nuts and a vegetarian alternative). The place would be mine between seven and eleven o'clock, with a deejay arriving at nine. Perfect. Once I had my birthday party venue set, I could concentrate on myself, hehe. A girl can not turn 25 years old and not pamper herself! So I came up with three, actually four things to make my birthday the best ever! I've had my nails done now every month for almost half a year now, so I did that. I have preferred a simple French manicure because I believe it looks the most professional and the nails save me time when I do not have to think about doing my nails every day like I did before. They're also strong so they can endure lifting boxes and other things I do at work. My saloon Blue Lagoon has felt almost like my second home for some time now, thanks to its wonderful personnel, but for my birthday I thought I would try something new, lash extensions. The treatment took about one and a half hour but I was very satisfied. I haven't decided yet if I will keep the lashes, but I can not say that I haven't got used to them. but actually I found out that the reason was my lashes! She said she'd never seen lashes that long, hahahahah. I thought I was on the candid camera show, hahahah.